Flanagan’s Wake launched in Chicago in 1994. It is one of the longest running shows in Chicago theater history. The show made its’ Cleveland debut in 1996, when John Regan brought it to town with his group The Irish Rodeo Clowns. It ran until 2003. 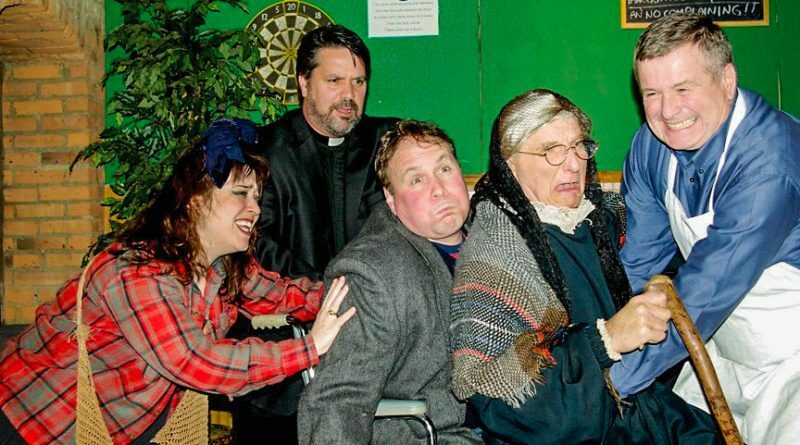 Six years later, Sean Lackey (actor and executive producer), and The Frankie Kong Players resurrected Flanagan and are set to open their tenth season at The Kennedy Theatre at Playhouse Square in January. Most of the cast were members of The Irish Rodeo Clowns during past presentations of Flanagan’s Wake. With the interactive approach with the audience, there is a cast of thousands, and a guarantee that no two performances are the same. This is true improv; it’s entertaining to see a character try to “stump” their fellow actors and the direction it may take the “wake”. 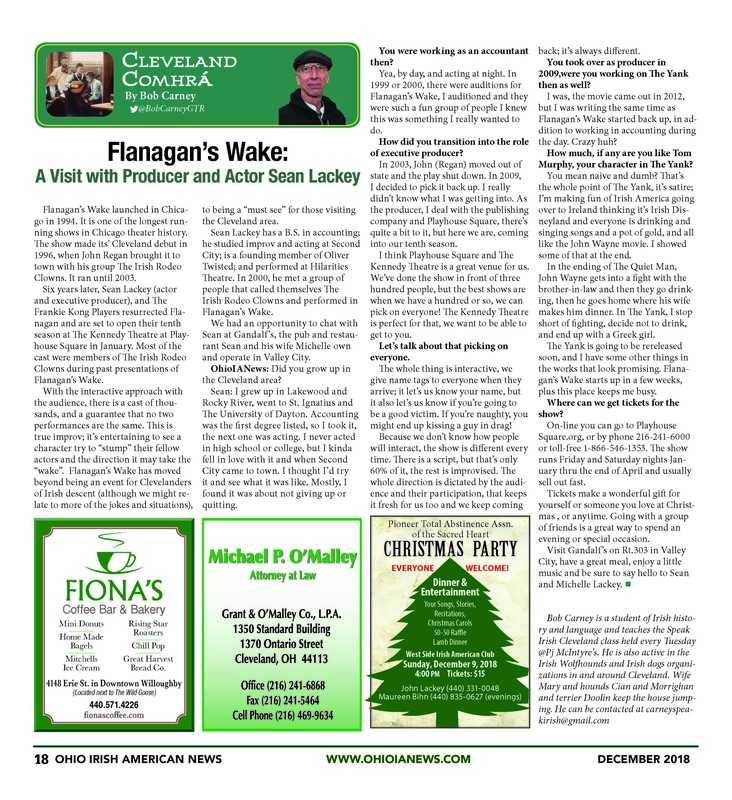 Flanagan’s Wake has moved beyond being an event for Clevelanders of Irish descent (although we might relate to more of the jokes and situations), to being a “must see” for those visiting the Cleveland area. Sean Lackey has a B.S. in accounting; he studied improv and acting at Second City; is a founding member of Oliver Twisted; and performed at Hilarities Theatre. In 2000, he met a group of people that called themselves The Irish Rodeo Clowns and performed in Flanagan’s Wake. We had an opportunity to chat with Sean at Gandalf’s, the pub and restaurant Sean and his wife Michelle own and operate in Valley City. 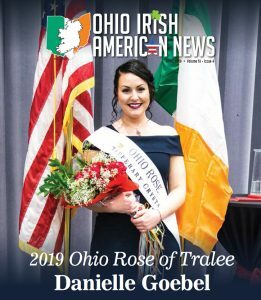 OhioIANews: Did you grow up in the Cleveland area? Sean: I grew up in Lakewood and Rocky River, went to St. Ignatius and The University of Dayton. Accounting was the first degree listed, so I took it, the next one was acting. I never acted in high school or college, but I kinda fell in love with it and when Second City came to town. I thought I’d try it and see what it was like. Mostly, I found it was about not giving up or quitting. 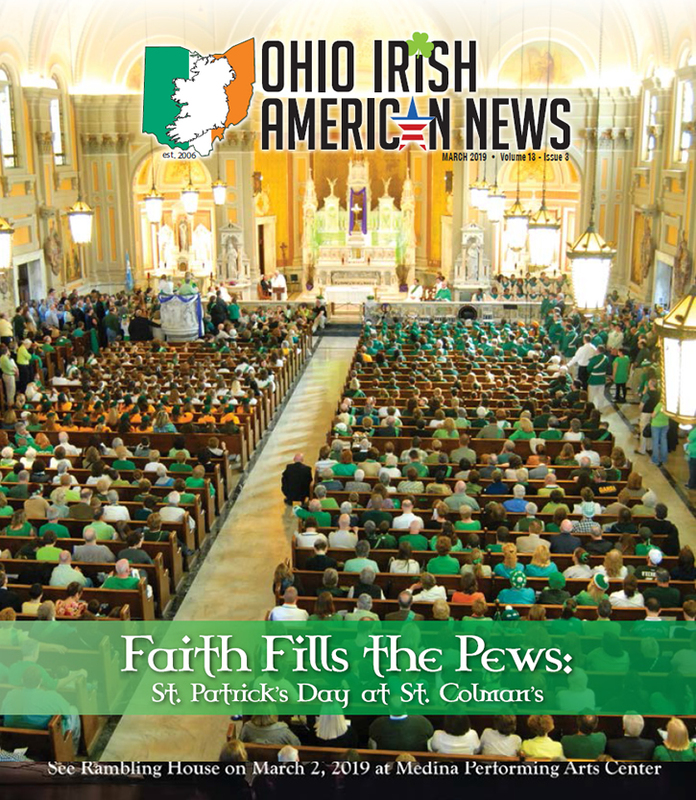 OhioIANews: You were working as an accountant then? Sean: Yea, by day, and acting at night. In 1999 or 2000, there were auditions for Flanagan’s Wake, I auditioned and they were such a fun group of people I knew this was something I really wanted to do. OhioIANews: How did you transition into the role of executive producer? Sean: In 2003, John (Regan) moved out of state and the play shut down. In 2009, I decided to pick it back up. I really didn’t know what I was getting into. As the producer, I deal with the publishing company and Playhouse Square, there’s quite a bit to it, but here we are, coming into our tenth season. I think Playhouse Square and The Kennedy Theatre is a great venue for us. We’ve done the show in front of three hundred people, but the best shows are when we have a hundred or so, we can pick on everyone! The Kennedy Theatre is perfect for that, we want to be able to get to you. 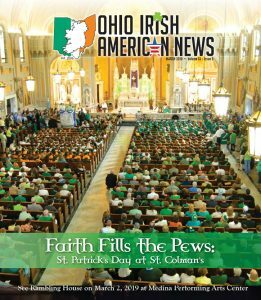 OhioIANews: Let’s talk about that picking on everyone. Sean: The whole thing is interactive, we give name tags to everyone when they arrive; it let’s us know your name, but it also let’s us know if you’re going to be a good victim. If you’re naughty, you might end up kissing a guy in drag! Because we don’t know how people will interact, the show is different every time. There is a script, but that’s only 60% of it, the rest is improvised. The whole direction is dictated by the audience and their participation, that keeps it fresh for us too and we keep coming back; it’s always different. OhioIANews: You took over as producer in 2009,were you working on The Yank then as well? Sean: I was, the movie came out in 2012, but I was writing the same time as Flanagan’s Wake started back up, in addition to working in accounting during the day. Crazy huh? 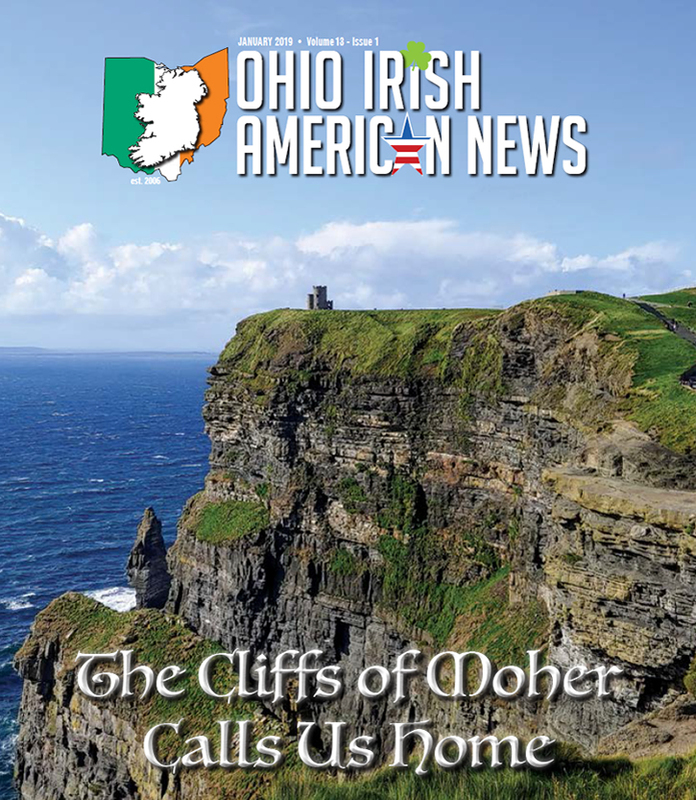 OhioIANews: How much, if any are you like Tom Murphy, your character in The Yank? Sean: You mean naive and dumb? 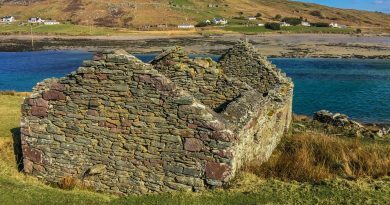 That’s the whole point of The Yank, it’s satire; I’m making fun of Irish America going over to Ireland thinking it’s Irish Disneyland and everyone is drinking and singing songs and a pot of gold, and all like the John Wayne movie. I showed some of that at the end. In the ending of The Quiet Man, John Wayne gets into a fight with the brother-in-law and then they go drinking, then he goes home where his wife makes him dinner. In The Yank, I stop short of fighting, decide not to drink, and end up with a Greek girl. The Yank is going to be rereleased soon, and I have some other things in the works that look promising. Flanagan’s Wake starts up in a few weeks, plus this place keeps me busy. OhioIANews: Where can we get tickets for the show? Sean: On-line you can go to Playhouse Square.org, or by phone 216-241-6000 or toll-free 1-866-546-1353. 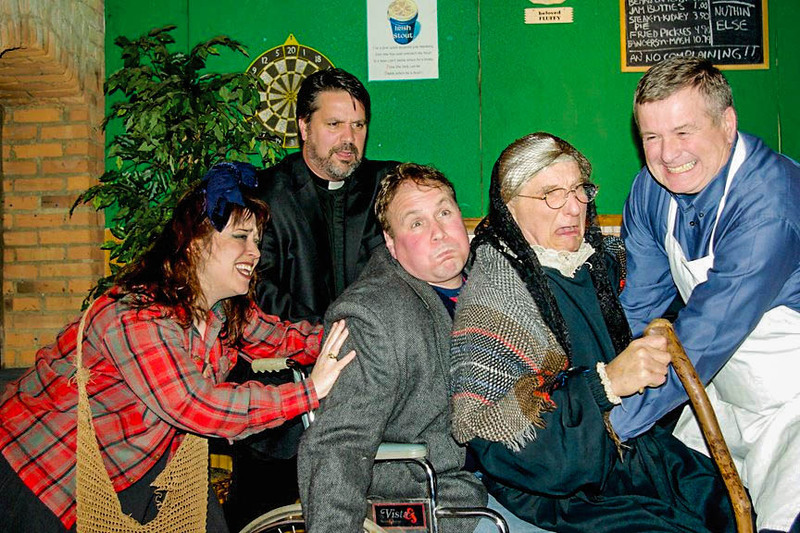 The show runs Friday and Saturday nights January thru the end of April and usually sell out fast. 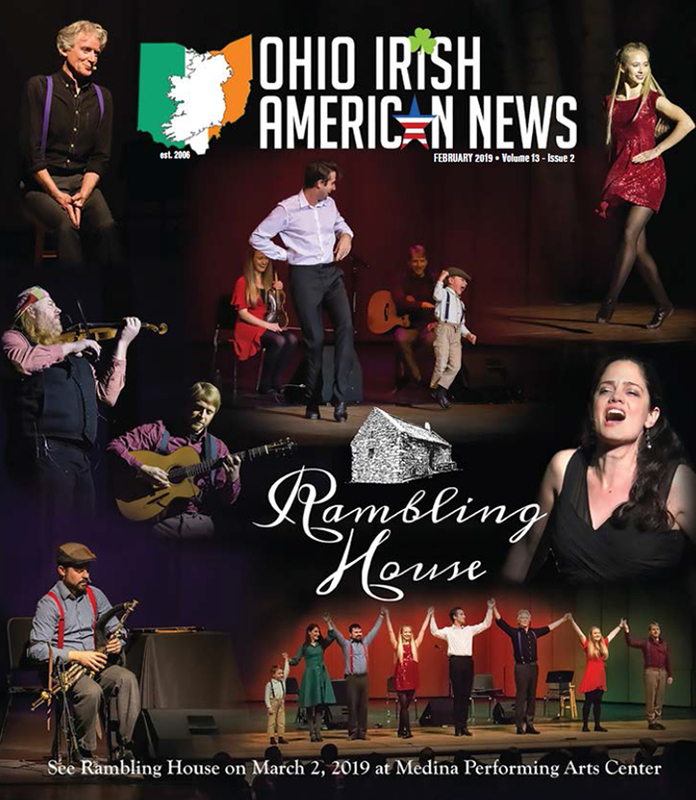 OhioIANews: Tickets make a wonderful gift for yourself or someone you love at Christmas , or anytime. Going with a group of friends is a great way to spend an evening or special occasion. 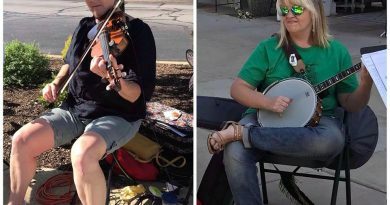 Visit Gandalf’s on Rt.303 in Valley City, have a great meal, enjoy a little music and be sure to say hello to Sean and Michelle Lackey.